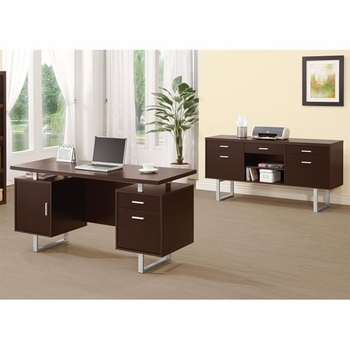 The floating style desk top adds a spacious bonus shelf that extends just under the footprint of the top of the desk. 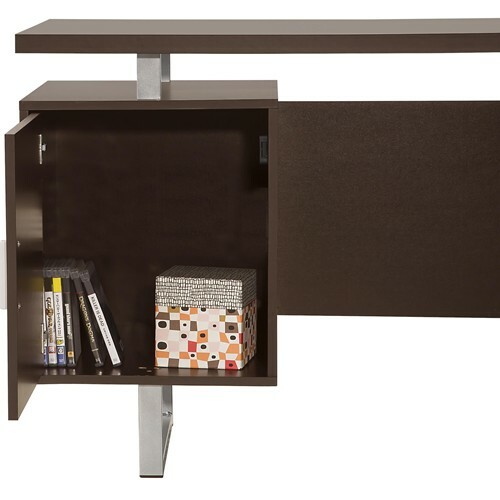 For storage, the desk offers space within a door on one side and within two drawers on the other side. A rich cappuccino finish and silver-powercoat finish sled legs and modern bar handle hardware add up to a great look for a contemporary home office.